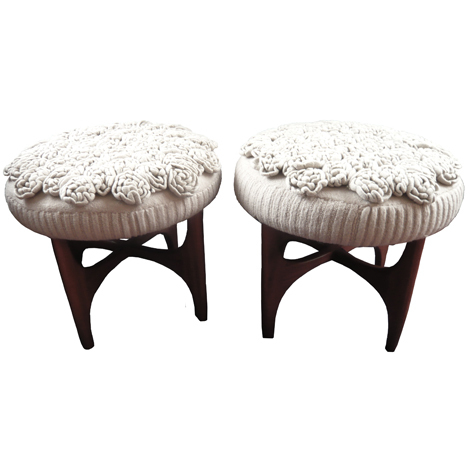 A client came to us with a pair of mid century stools she had found at an antique market. She was looking for a cover which would add a dramatic look, and yet be comfortable to sit on. We created over 200 hand crocheted flowers which were attached to a knitted hair cover and felted to form a delicate look which was still hard wearing.